The MCP2510 18-pin stand-alone CAN (Control Area Network) controller features an industry standard SPI serial interface, enabling an easy connection to virtually any microcontroller. The MCP2510 provides immediate CAN support across the entire breadth of Microchip’s 100+ PICmicro® microcontrollers, providing a seamless migration path and maximum design flexibility for CAN designs. 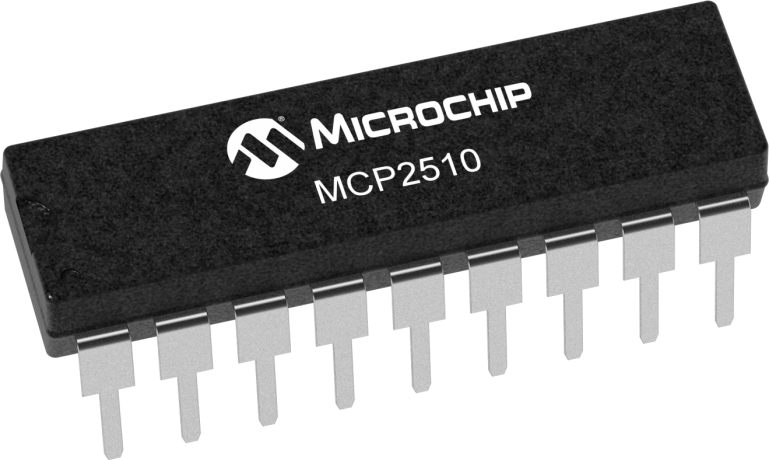 The MCP2510 contains on-board features, such as interrupt capability, message masking and filtering, message prioritization, multi-purpose I/O pins, and multiple transmit/receive buffers which significantly offload the microcontroller overhead required to handle CAN message traffic. Applications for the MCP2510 include motor control, smoke detectors, CO detectors, sensors, meters, automotive electronics, climate control and instrument clusters.